Thanks to the unique tools in Adobe Photoshop to increase the muscles on the photograph, even a beginner can. And some special skills to have for this is not required. Adobe Photoshop CS 2 or higher. Open original image in Adobe Photoshop. To do this, click the menu "File" –> "Open". Find your image and double-click it. 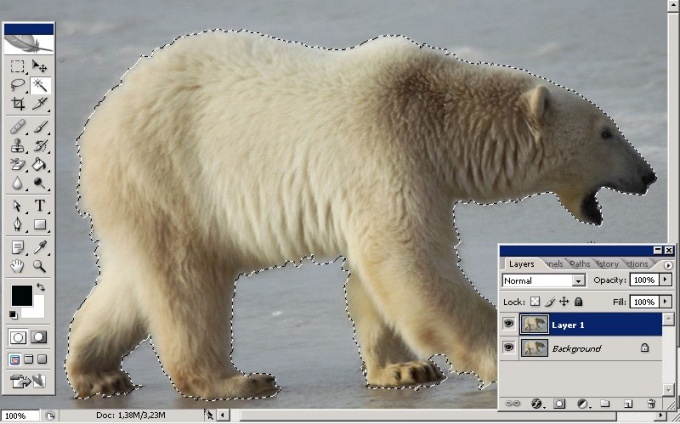 You can also drag a photo directly with the mouse in the workspace of the program. 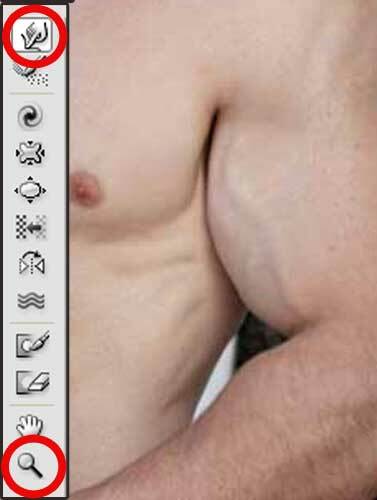 To increase muscles in Photoshop is comfortable with the filter of "Plastic". Find it in the menu "Filter" and open. Actually, it's not just a filter is a program that allows you to modify images in a certain way: stretching and deforming the elements of the illustration. To start zoom in with Loupe tool. Then take the smudge tool and use it to start building up the muscle volume. To do this, move the "Finger" to the border of the muscle, click the left mouse button and gently slide the border. To properly and reliably conduct such an operation, you need either a good understanding of anatomy, or to have a sample of how to look big muscles. Once you are done, and the result will suit you, accept the changes (OK button). To top it off, you can slightly lighten some areas of muscles and the relief of the folds a little to darken. Professional photographers and artists know that the lighter area on the image so it appears closer, and Vice versa. Take advantage of this principle. Slightly darken the shadows and vysvetlit glare. It's easy to do, for example, use the tools "burn" and "Dodge" that you can find on the toolbar of Photoshop. Save your finished image. In the menu "File" click "Save as" or "Save for web and devices". Be careful: if you click just "Save", you will lose original image, because the program will replace it with a new one. Note: using the liquify filter, you can increase and make smaller any body part or object. It is difficult to find a woman who would be completely happy with her figure. Some women show respect to their appearance groundless dissatisfaction, and others have good reason to be ashamed of their figures. However, all I dream about beautiful photos, and even if your figure is far from perfect, you can fix it on the photo using Adobe Photoshop, making some parts of the body slimmer. 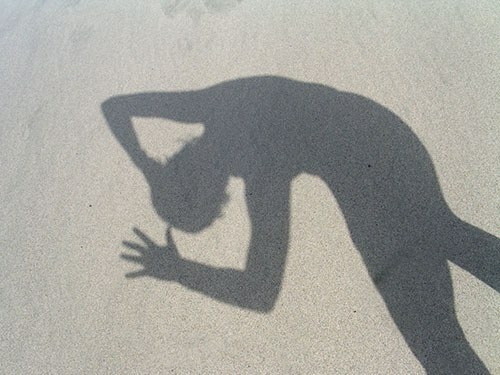 Prepare to work a photo in which you want to obtain a more slender figure. The photo must be high resolution and high quality – depends on how realistic and accurate it will be ready. Upload a photo in Photoshop, and then open the main menu and select Filter to open the list, filter Liquify. The photo opens in a new window. In the left part of the window you will see toolbar – select the icon "Compression", or press S.
In the right part of the window set the desired values of compression setting this up – these values depend on the type and size of pictures. Set the brush size for editing such that it is slightly greater than the size of the objects that you will handle a brush. You can also adjust the degree of hardness of the brush, pressure, and saturation. Once the desired indicators (for example, selecting the brush size 150), scale the photo, bringing that part of it which should reduce and start single clicking on the desired area on the photo, making sure that the compression was uniform and realistic. Do not pull the brush, holding the left mouse button – simply click on the desired portion of the body to get. If you accidentally make a mistake, press Cancel (Ctrl+Z). Treating one body part, move on to the other – this way you will be able to make any slimmer and more attractive figure. When you have finished processing, click OK and save the photo under a new name. The advertising slogan ' Drive the dream!" it is possible to make the motto of the masters of Adobe Photoshop. Photoshop creates a virtual world that can become a reality, if you really want. If you are unhappy with your figure, armed with tools from the Arsenal of this graphics editor and adjust their appearance. The result will be a stimulus for spilling sweat in the gym and on the treadmill stadium. Adobe Photoshop not below 8-th version. Open the photoyou want to edit. Ctrl+J copy the image to a new layer below with further work not to damage the original. In the main menu, choose Filter ("Filter") and Liquify ("Plastic"). On the toolbar, activate the Freeze Mask ("Freeze"). Right in the properties panel set the brush size Brush Size=20, Brush Density Density ("Density")=100, Brush Pressure ("clicking on")=100. Such high density values and pressing need to mask is not smeared on the image, and hide those areas you want to protect from deformation. Changing the size of the brush, apply the mask on the image around that area that will handle. In our case it is the sea around the belly and the head guy. If picked up too much, activate the tool Thaw Mask Tool ("Unfreezing") and remove the mask. Select a tool Push Left Tool ("Shift pixels") and configure its settings. The brush size should be increased to 60-100, depending on the size of the image, but the density and pressing lower to 20 to correction was neat and careful. If you move the cursor up, the pixels are shifted to the left if down right. Guide the tools to the right of the belly upward, to the left from top to bottom. Stomach a bit involved. Stick to this and start to handle the hands from the inner side. Go tools along the arms once and click OK to save the changes. The filter window is closed, you're back on your main image. Please note that around the figure of the girl appeared blurred pixels are deformed region, not protected by the mask. On the toolbar, choose the Clone Stamp Tool (rubber Stamp). In the properties panel, set the hardness to 100% and the brush size 5-10 pixels. Image better enlarge for easier processing. Hover over the picture as close as possible to the figure of a girl, hold down Alt and click the mouse on the selected part of the background. The cursor will change and become similar to the telescopic sight. This means, the tool chose a sample picture and is ready to reproduce it. Gently glide the cursor over the blurry area – the image is replaced by something that moves the cross. Once removed blurred pixels, again, choose filter Liquify, cover mask the background around the figure of the girl and continue to process the desired sites with tools Push Left Tool and Forward Warp Tool ("Warp"). Parameters is approximately the same. The second tool is not for nothing resembling a finger – they can smudge a picture or collect it in a pile. Every tool use no more than twice. After this, save the result, go back to the main image and again to remove the blurred pixels. When she lost to a more manageable size, using the Clone Stamp tool Tool finish her bathing suit on the former site of the abdomen and treat the skin on your inner thigh, as the image blurred and stretched. Better to do it on a new layer. The Liquify filter is one of the most convenient for the free deformation of image tools Photoshop. With this filter you can not only get the details to create a surrealist collage, but to make the figure more slender in the picture. If you select Open File menu, open the photo in a graphics editor. A picture taken on plain background without texture, noise, and shaded areas near the shape you are going to correct, unlock the option Layer from Background group New menu Layer. The picture with a more complex background would require a different preparation. Using the Lasso tool select the shape with a small amount of background. Use the option Layer via Copy New group to copy a selection to a new layer. The deformation image using the Liquify filter tools, parts of the background near those with whom you work may be changed. After work you restore them from the original image. Option, Liquify Filter menu open the filter window and check the Show Mesh checkbox. The grid that appears will give you the opportunity to track the progress of transformation. Turn on the tool Pucker Tool and apply the details of the shapes that you need to reduce. To do this, configure the size of the brush tool to match the width of the adjustable part of the body. The pixels affected by the brush, will move to its center marked with a cross. The size of the Brush Density parameter depends on the degree of displacement of parts of the picture are at different distances from the center of the brush. When the maximum value of this parameter, the tool will equally act on all pixels under the brush. Putting a small value Density Brush, you weaken the image change in the area of the edges of the brush. Setting Brush Pressure controls how fast the picture changes. Set this parameter to a small value to be able to follow the transformation process. Place the center of the brush to the selected part of the shape, hold down the left mouse button and wait until the desired degree of change of the image. To narrow down the shapes you may need the tool Forward Warp tool, which shifts the pixels of the exposed brush in the direction of its movement. The settings of this tool are similar to the parameters of the Pucker Tool. Adjust the size of the Forward Warp Tool under the length of the segment you want to move, select the center of the brush at the edge of a shape and slip an image. Turn off the visibility of the grid. If one of the parts of photography correction was excessive, restore the original appearance of this fragment using the Reconstruct Tool. To restore the background, surrounding the figure, create a mask on the layer to which the filter was applied by clicking on the button Add layer mask. Clean the damaged background, filling it with black on the mask using the Brush tool. Duplicate the layer with the source the option Duplicate Layer menu and Layer mask on it fragments of the figure that appeared from under the layer with "thin" image. This can be done with Clone Stamp tool Tool. Option Save As File menu save edited photo to a jpg file. In order to have a perfect figure in the photograph, does not need to exhaust yourself diets or gym training! It is enough to make a few clicks in Adobe Photoshop. And if you do it neatly, even the skillful master can not detect your little deception. Program Adobe Photoshop. The article uses the version CS3. First of all, it is worth considering that if you are not well versed in Adobe Photoshop, you will be able to make only small changes in the appearance of the person in the picture without loss of realism. Not necessary at the first acquaintance with the program immediately to try to turn a full human in is slender or thin. Start with the lowest correction figure. Open the photo you want to make changes. In order to reduce the waist, you'll need a filter of "Plastic" (the"Liquify" in the English version). It can be found in the "Filter" or to invoke the shortcut - Shift+Ctrl+X. In the opened window you will see a list of tools on the left and right sliders settings. Waist you only need a "Warp" (hot key W) and "Shrinkage" (hot key S). Use "Warp" you can gradually change the shape of the object, gently moving the selection to a desired direction, without compromising the integrity of the image. It needs to be exactly the same as with a brush: to choose the diameter and begin to "draw". Tool "Shrinkage" is also among the options the diameter of the brush, but it works differently. Within the area covered by the brush, this tool pulls the image toward the center around the entire circumference, as if blowing him. First, by using the tool "Warp" you need to create the desired outline of the shape to define the waist. Select the appropriate brush diameter and gradually pull the waist from the edges of the silhouette to the center. Tool "Shrinkage" you need to give the realism of the folds of clothing around the waist after the distortion. Perhaps when editing photos you will be able to do only one of the tools. Experiment with the size and brush settings to achieve the best results. Do not forget about the peculiarities of human anatomy. Don't make the waist too narrow, do not create unnaturally sharp and concave angles in the silhouette. When using tools filter of "Plastic" inevitably distorts the surrounding space. Reduce strain can, freezing a portion of the image with the appropriate tool. You can also after applying the filter separately to restore the realism of the background behind the person. 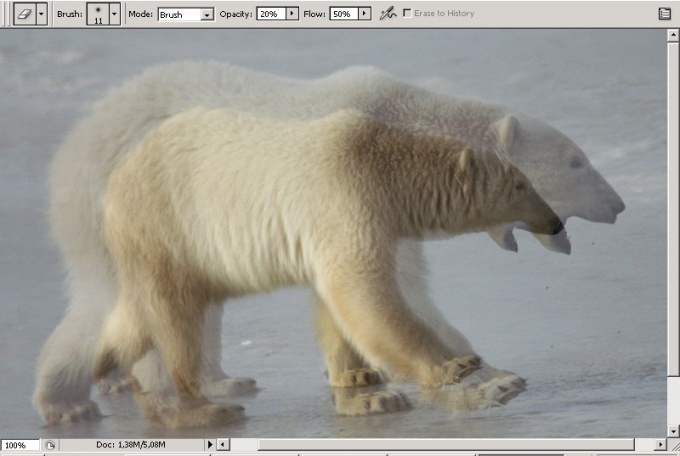 When you create collages and image processing in Adobe Photoshop, you may need to reduce the size of a fragment, without changing the basic pattern. This problem can be solved in several ways. One of them is the application of the free transformation to the desired item. Open the image and duplicate it. All changes should be done on a new layer without affecting the finished picture. Copy to a new layer, preferred combination of hot keys Ctrl+J. Now you need to select the figurethat you will decrease. This can be done in different ways. If the background around the item fairly uniform in color, use the Magic Wand tool (Magic wand). Set the Tolerance parameter so that the allocation coincides with the contour of the figure. The parameter value can be changed depending on the shade of color. To selections merged into a whole, click the properties panel button Add to selection ("Add selection"). Menu Select ("Select"), select Inverse ("Invert"), or use Ctrl+Shift+I. Now you have selected a piece, not the background. Copy it to a new layer. Press Ctrl+T or Edit menu ("Edit") to select Free Transform ("Free transform"). Around the snippet you'll see a rectangle. If you want to reduce a shape proportionally, hold down Shift, hover over the angular control of the bundle, hook it with the mouse and move to the center of the selection. Now you can see both layers – the main image and a reduced copy of the main element. You need to move the background layer with a reduced copy. On the toolbar, select the Stamp Tool (rubber Stamp). In the properties pane, set the parameters of the brush diameter and hardness. You will have to change these values in the treatment process. 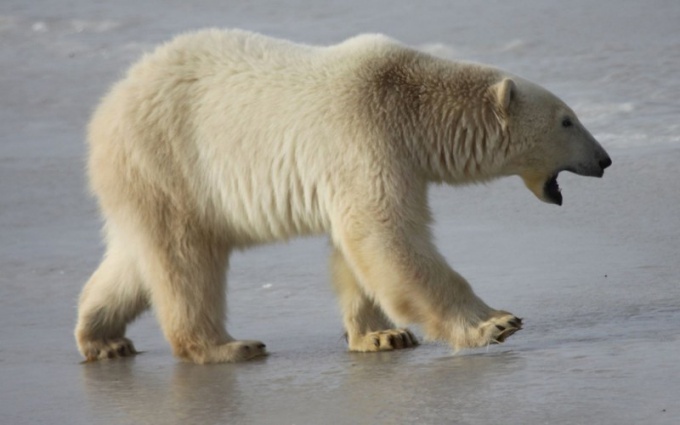 If the main element is fluffy, as in this example, the stiffness should be reduced. The brush size will depend on the size of the workpiece. Activate the layer with the main image, hold the keyboard Alt and click on the background next to the snippet that you copied to a new layer. The distance to this element will depend on the brush size and properties of the fragment. The cursor takes the form of an optical sight – a cross with a circle around it, i.e., the instrument took a sample of the color and considers it a benchmark. Go back to the layer with the copy of the fragment, place the cursor close to the shape outline and gently encircling her. Around the copy of the fragment you receive a copy of the background with the main image, which is under the cross. Be careful to not cross drove to the snippet that you copied. As necessary, change the stiffness and the diameter of the brush and take a new sample of the color on the layer with the main image. Most importantly, do not forget that the sample you take on the layer with the main image, and restore the background layer with a copy of the fragment. A failed step can be cancelled with Ctrl+Alt+Z. to make it easier to understand where to take a sample of background time switch off visibility of the top layer by clicking the eye icon next to it. To highlight the main figure, you can use the tools from the group Lasso ("Lasso") or the edit in quick mask mode. When creating collages or for styling compositions in order to conform to certain artistic concepts, the designers sometimes change the proportions of bodies or their parts in the images. For such transformations is often used editor is Adobe Photoshop. To slim body in photoshop as in parts, and entirely you can use built-in tools and instruments. Upload the original image in Adobe Photoshop. Press Ctrl+O or click File menu, select "Open...". Navigate to the directory, highlight the file, hit "Open". Determine the nature of the transformations, which should be subjected to the body. If you need to change the whole size, go to step six. If you want to reduce only part of the body (e.g., hips, bust), go to step 3. Activate the Liquify filter. Select the item with the same name in the Filter section of the main menu or press Shift+Ctrl+X. In the dialog box, check Show Image. Click Zoom Tool or press Z, to select a convenient zoom view. Turn on reduction mode of the image. Click the Pucker Tool. Configure the settings tool, changing the brush size (the Brush Size value), its pressure (Brush Pressure), the intensity of the impact (Brush Rate) and density (Brush Density). Reduce parts of the body. Click or slide the brush. Control the degree of impact, if necessary, cancelling the changes. When you press the left key of the mouse the image will decrease the faster, the higher the setting Brush Rate. If you want to reduce the body as a whole, highlight the contour. Use the tools Polygonal Lasso, Magnetic Lasso, or a combination. If necessary, adjust the selection in the quick mask mode. Transfer body image to a new layer. From the menu, choose Layer, New, Layer via Copy, or press Ctrl+J. Delete the body from the previous layer. Go for it. Hit the Del key or the Edit menu, select Clear. Reduce the body. Switch to the layer you created in step 7. In the menu, select Edit, Transform, Scale. Click Maintain aspect ratio in the top panel. Drag the corners of the frame changing the image size as needed. Double click inside the frame to apply the changes. Move tool adjust the position of the body. Switch to the bottom layer. Complete background image region previously occupied by the body. Use the tools Clone Stamp or Patch Tool. If necessary, drain layers, which work was carried out. Switch to the top layer. Press Ctrl+E or select in menu Layer and Merge Down.